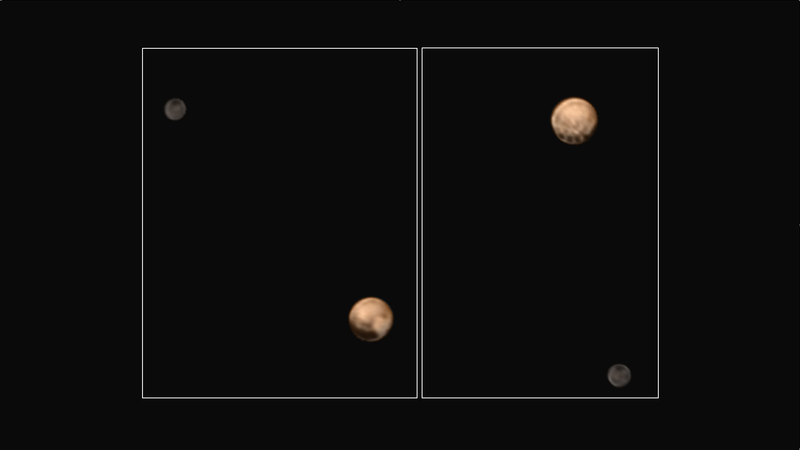 New color images from NASA's New Horizons spacecraft show two very different faces of the mysterious dwarf planet, one with a series of intriguing spots along the equator that are evenly spaced. Each of the spots is about 300 miles in diameter, with a surface area that's roughly the size of the state of Missouri. Scientists have yet to see anything quite like the dark spots; their presence has piqued the interest of the New Horizons science team, due to the remarkable consistency in their spacing and size. While the origin of the spots is a mystery for now, the answer may be revealed as the spacecraft continues its approach to the mysterious dwarf planet. "It's a real puzzle—we don't know what the spots are, and we can't wait to find out," said New Horizons principal investigator Alan Stern of the Southwest Research Institute, Boulder. "Also puzzling is the longstanding and dramatic difference in the colors and appearance of Pluto compared to its darker and grayer moon Charon." New Horizons team members combined black-and-white images of Pluto and Charon from the spacecraft's Long-Range Reconnaissance Imager (LORRI) with lower-resolution color data from the Ralph instrument to produce these views. We see the planet and its largest moon in approximately true color, that is, the way they would appear if you were riding on the New Horizons spacecraft. About half of Pluto is imaged, which means features shown near the bottom of the dwarf planet are at approximately at the equatorial line. Artist's conception of clouds in Pluto's atmosphere. 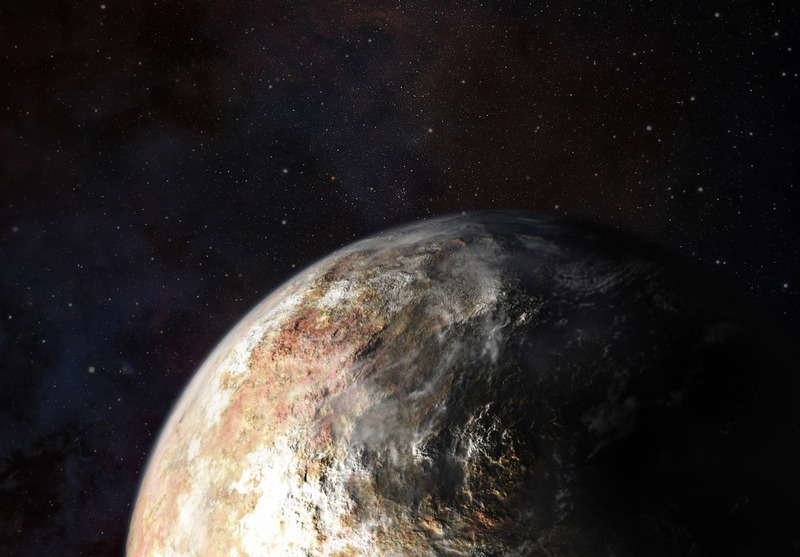 If Pluto has clouds, New Horizons can detect them. 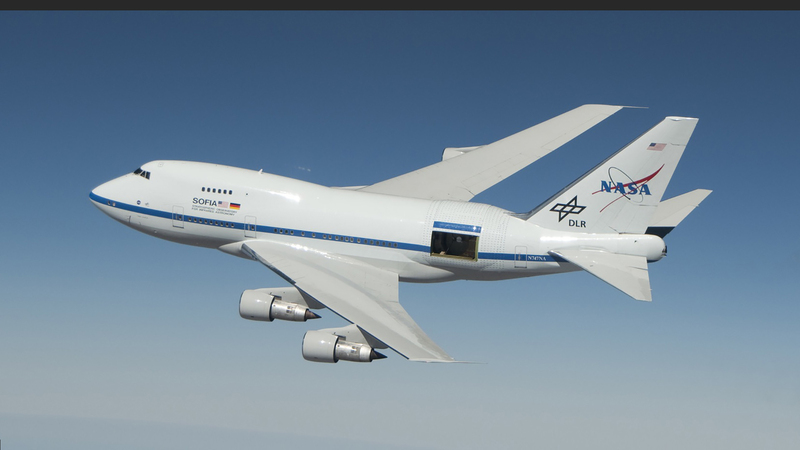 Both the high-resolution LORRI imager and the Ralph color imager will be used to look for clouds across the face of Pluto during its approach and departure from the planet. "We're looking for clouds in our images using a number of techniques," said science team postdoc Kelsi Singer of the Southwest Research Institute, "If we find clouds, their presence will allow us to track the speeds and directions of Pluto's winds." For more than two decades, planetary scientists have raced to get a spacecraft to Pluto against predictions that its atmosphere would disappear—literally freezing onto the surface—before it could be explored. This week, planetary scientists using ground-based telescopes and NASA's SOFIA airborne observatory confirmed that "Pluto's atmosphere is alive and well, and has not frozen out on the surface," according to New Horizons deputy project scientist Leslie Young, Southwest Research Institute, Boulder. Added Young, "We're delighted!" 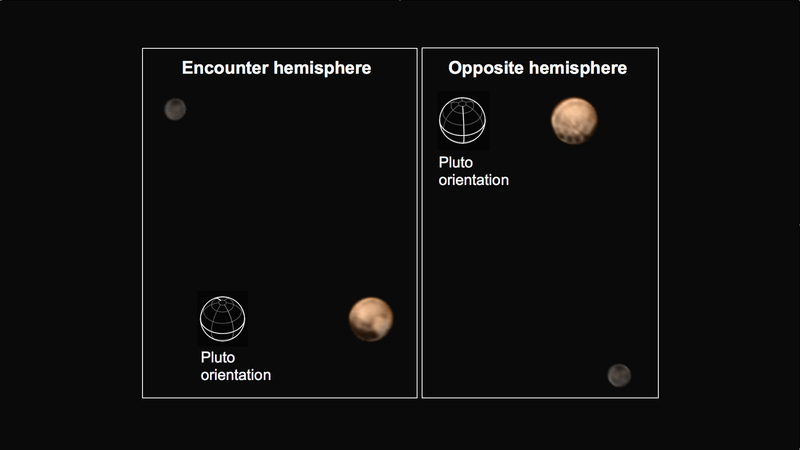 "The SOFIA observations will also be essential for linking ground-based studies to the results from the New Horizons Pluto encounter for decades to come", said Cathy Olkin, Southwest Research Institute, Boulder, co-investigator on NASA's New Horizons mission. The location of New Horizons' Pluto Energetic Particle Spectrometer Science Investigation (PEPSSI) instrument is shown. The Pluto Energetic Particle Spectrometer Science Investigation (PEPSSI) instrument aboard New Horizons is sending back data daily, sampling the space environment near Pluto. 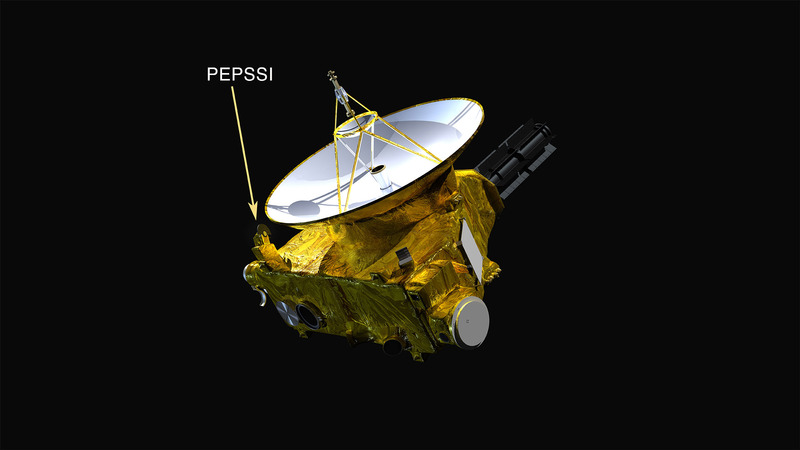 PEPSSI is designed to detect ions (atoms that have lost or gained one or more electrons) that have escaped from Pluto's atmosphere. As they depart, these atoms become caught up in the solar wind, the stream of subatomic particles that emanates from the Sun. PEPSSI's job is to tell scientists about the composition of Pluto's escaping atmosphere and how quickly the atmosphere is escaping. New Horizons is now less than 9.5 million miles (15 million kilometers) from the Pluto system. The spacecraft is healthy and all systems are operating normally.